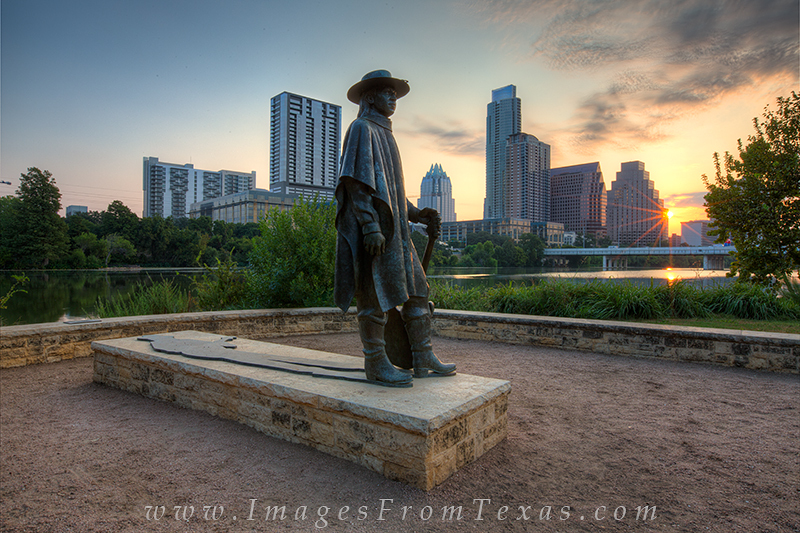 From the shores of Ladybird Lake, the statue of Stevie Ray Vaughan stands with the Austin skyline in the background. This Texas image comes from Zilker Park along the Hike and Bike Trail close to the First Street Bridge. If you like the outdoors, this area is a place you'll love. With a view of downtown Austin across the water, ride, run, walk, or people watch to your heart's content. Photo © copyright by Rob Greebon.